Branca Maria Paula - photographer, writer and screenwriter - has published 16 books. She was born in Minas Gerais, Brazil. With a degree in Philosophy, she started her literary career in 1978, when she won the 3o Concurso Nacional de Contos Eróticos, from the now- extinct Status Magazine. Her text, censored in its entirety, was published a year later only, along with other short stories whose publication had not been allowed at the time, either. In 2005, she launched Fundo Infinito – contos eróticos, translated into Italian and published in Rome by Vertigo Edizioni. 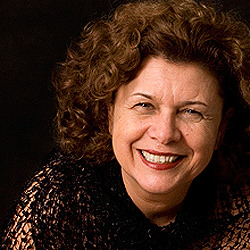 Her works have been included in many anthologies .Among them, Intimidades (Dez Contos Eróticos de Escritoras Portuguesas e Brasileiras) e 69 /2 Contos Eróticos. She is the author of the screenplay Baroque Love, a feature-length drama and winner of the 2nd Film edition in Minas Gerais, in the Script Development category. For her literary work, as well as her photographs, she has received several awards. She lives in Belo Horizonte, Minas Gerais.